As one of the UK's largest multinational construction and infrastructure companies, Balfour Beatty sees its long-term success as dependent upon the ability to keep its workforce, business partners, suppliers, subcontractors, members of the public and the environment safe. "Nothing we do is so important that it cannot be done safely". Balfour Beatty is committed to health and safety in every aspect of its work and nothing is more important than ensuring everyone returns home safely every day. This desire to strive to protect their workforce or anyone working in partnership required a strong branded initiative with a clear and distinctive name. 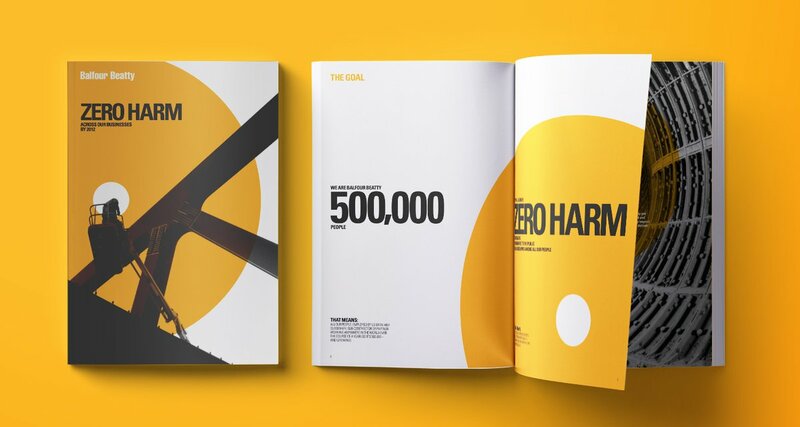 Thus, Zero Harm was chosen and a very graphic brand mark focussing on the zero and sense of protection. The secondary message 'Make safety personal' supports this ongoing campaign. 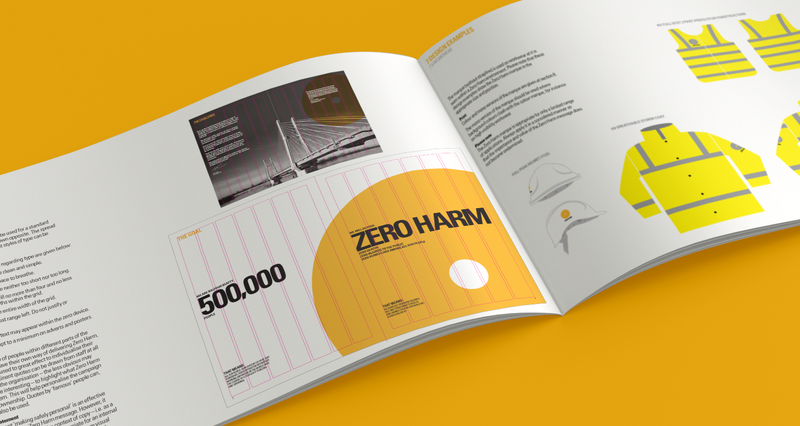 Yellow is one of the most commonly used colours to indicate hazards and denotes potential threats to one's safety. Supported by strong graphic black and white photography, the campaign is bold, hard hitting and unmissable. This internal comms campaign has run and run, and is now firmly embedded into the fabric of Balfour Beatty's culture. It has also been coined as an industry phase by many other organisations.